When Pig the Pug goes big, it’s usually followed by some sort of disaster. This is bad for Pig, but great for budding news article writers. Writing a news article is a great task for a range of grades. For younger students who may be just learning about the format, it’s a great way to identify the ‘who, what, where, when and why’ - good reading questions - before participating in a shared writing of an article as a small group or a whole class. Students can follow this shared writing about one of the Pig stories with individual or paired writing about one of the other Pig stories. For older students, the Pig books offer a great story to write their article about. They can report on the time that Pig ‘flew’ out the window (plenty of headline opportunities there - another aspect you can explore with the class) or the time he exploded a bathroom just because he preferred to be dirty. What is Pig thinking? While that’s a slightly scary thought, it’s also a great way to explore the Pig the Pug books through writing. You could ask your students to write one diary entry - focusing on the aftermath of an event perhaps, or what Pig is thinking before disaster strikes. Or you could ask your students to write a series of diary entries which explore the entire events of the week. What is Pig thinking about as he participates in the photo shoot and thinks of himself as a star? Or - to change it up a little - what exactly is Trevor thinking? What would his diary entries look like after a big Pig Event or in the lead up to one. 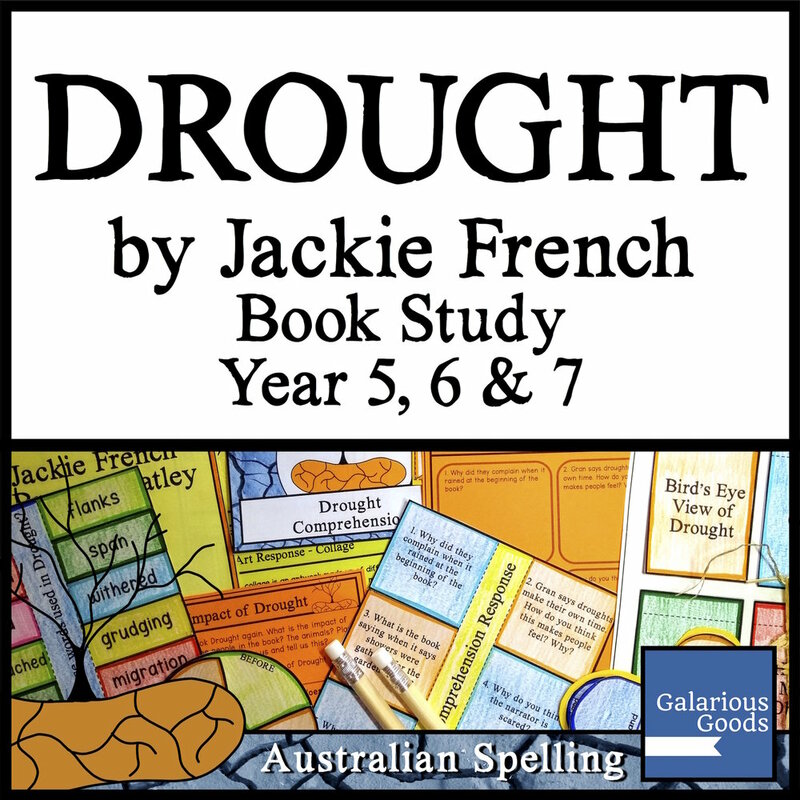 This is a great activity to pair with diary led books like the Diary of a Wombat series by Jackie French or the My Australian Story books for older students. Students can look at the examples of diary entries and identify the elements of them before applying these ideas to their own writing. How can you condense all - or a good part of - a story into just a few small boxes? This is the question which faces students when you ask them to create a comic strip of on of the Pig the Pug books. Students can talk about which are the most important parts of the story, creating a list which allows them to create 4 or 5 panels of a comic. They can then explore what images or words they could fit into that comic strip. Students can also explore whether they should keep Pig looking like the Pig of the books, or whether they should explore their own style of drawing in their comic strip - and why they might make some changes. This is a great way to explore retell and main idea with your students - particularly those in middle to upper primary classes. Writing a good book review can be a great way to get other people to enjoy the books you enjoy. The Pig the Pug books are great for reviews because there’s usually a range of reasons why readers love them. 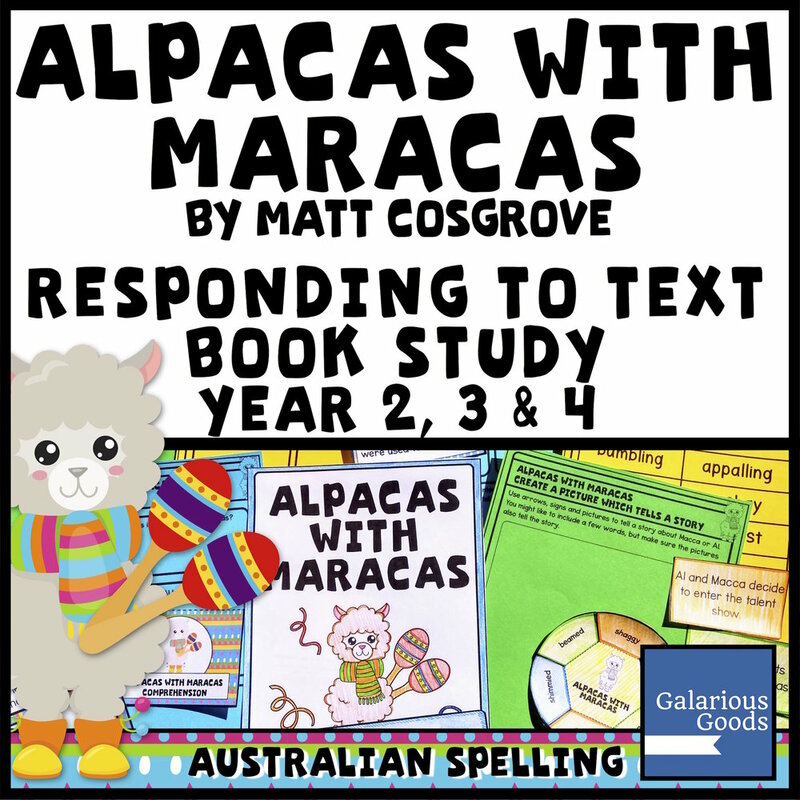 Students can explore a range of book reviews from different places before they write their own. You can also share write a review with the whole class before students head off to write their own reviews. Some things students can concentrate on in reviews is comparing them with other books (maybe other books about dogs, other books which feature animals or other funny books) or focusing on why they are so enjoyable to read. Podcasts are really popular, with a number of podcasts created just for children. You and your students could listen to some of them before getting into creating your own. Successful podcasts have a question or a theme to work through. When it comes to Pig the Pug they might like to discuss why they enjoy a particular book, which Pig the Pug book is the best, what it would be like to own a dog like Pig or what to read after you’ve finished all the Pig books. Students should write at least an outline before they start recording their podcast. If they’re working in a pair or small group, they might identify different parts to talk about or create a list of ‘talking points’ to tackle together. If they’re working on their own they might like to create a whole speech to write about. 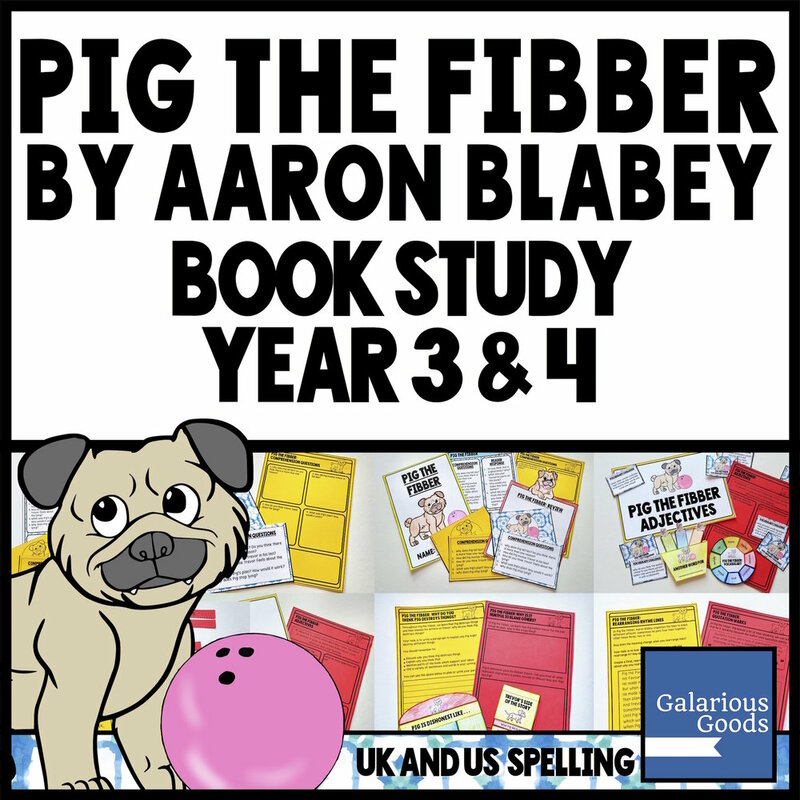 My family loves the Pig the Pug books by Aaron Blabey. We love them so much that both my children have dressed as the not-so-well-behaved but lovable dog for Book Week. But what is it we love so much about Pig? My son sat down with me to put together some reasons we love Pig - and some ways you can explore that love in the classroom. 1. We Love the Lessons . . .
Every Pig book comes with a little lesson (or two) to learn - whether it’s sharing our toys with others, telling the truth about our misdeeds or sharing the spotlight. While the lessons are pretty broad - and sometimes pretty specific to Pig (it’s unlikely our children will be eating their food bowls any time soon! ), they’re a great starting place for further conversation about what good and considerate behaviour looks like. We can pose questions like what does a winner look like? Is it necessary to share everything? Is it better to get difficult things over and done with - or just try to avoid them. Pig always ‘learns his lesson’ by the end of the book - which is another aspect students can discuss. Does he really learn his lesson. Do students honestly think he won’t repeat his mistakes. And since he usually behaves well when he’s injured and physically unable to misbehave - what might happen when the bandages come off and he is well again. Students can follow this train of thought and develop their prediction skills! These are really funny books! They’re a dream for teachers and parents who are reading them out loud, as you can explore with voices (take care with Pig - the shouting can be a problem!) and the funny pauses as you turn pages. But even when you are reading them to yourself, you can’t help but wonder what hilarious hijinks that pug will get up to next . . . and what hilarious trouble he will find himself in. A lot of the humour comes from the ridiculous nature of the trouble - we know it’s unlikely that these things would really happen to a dog - but it’s funny to imagine that they might. Students can explore writing their own ridiculous paragraphs or stories, seeing how far they can stretch their story before they lose their reader. They can also look for other examples of ridiculous humour in books - the books where the author just has fun with the reader! The Pig books follow a comfortable formula which makes them perfect for students developing an understanding of how stories can be structured and for students who like to look for connections between different texts. The familiarity of the stories can also help students concentrate on the details of the book - like the language or the specifics of this particular story - giving students a framework to work within. It also gives new and pre readers the opportunity to join in and read with the story - they know this bit! They’ve read it before. It can be a wonderful confidence boost or a way to engage with a text because you’re really reading it. This repetition can be used in writing lessons as well. Students can brainstorm ways for Pig to get himself into trouble and then use the framework to create their own Pig stories. Or they can create their own framework as a class or group and then write a class series of stories which work into that framework. Poor Trevor. While Pig is rampaging his way through the books, Trevor is the ultimate straight man. He’s kind, thoughtful, honestly cares about Pig . . . he just wants things to go right for him occasionally. Who didn’t cheer when Trevor was selected to be a star? Students can also imagine what Pig’s world might be like if Trevor wasn’t around. How would that make things easier for Pig? How would it make things harder? I LOVE the way vocabulary is used in the Pig the Pug books. Aaron Blabey refuses to talk down to his young audience, using a wide range of words and terms from ‘quivering’ to ‘sook’. 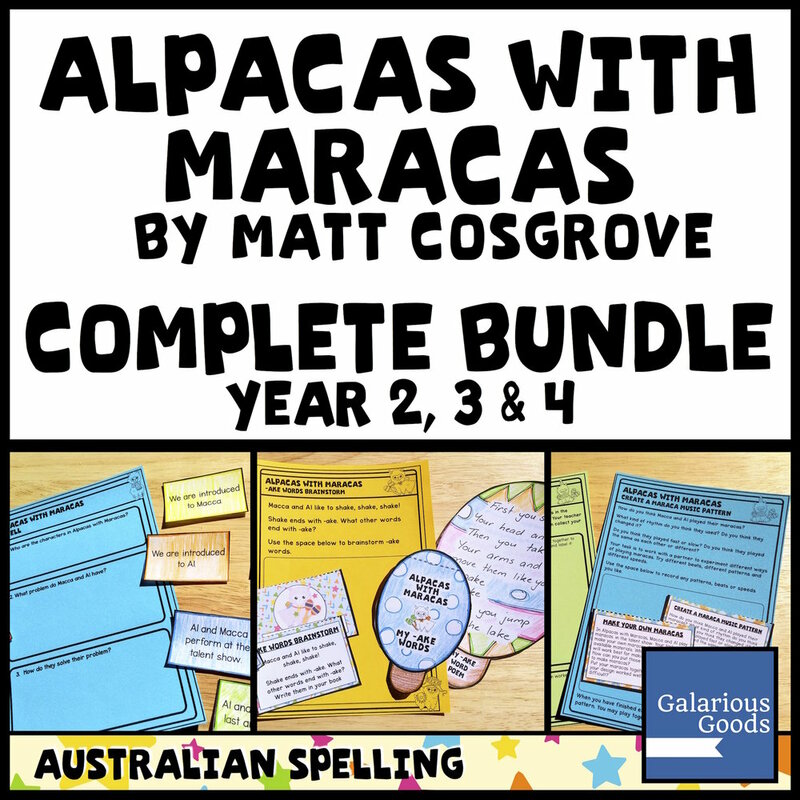 It’s not all big words - there are plenty of smaller, easier to digest words - but this is a great way to explore great words and the way they can be arranged and manipulated to create rhythm, rhyme - and a really funny story. 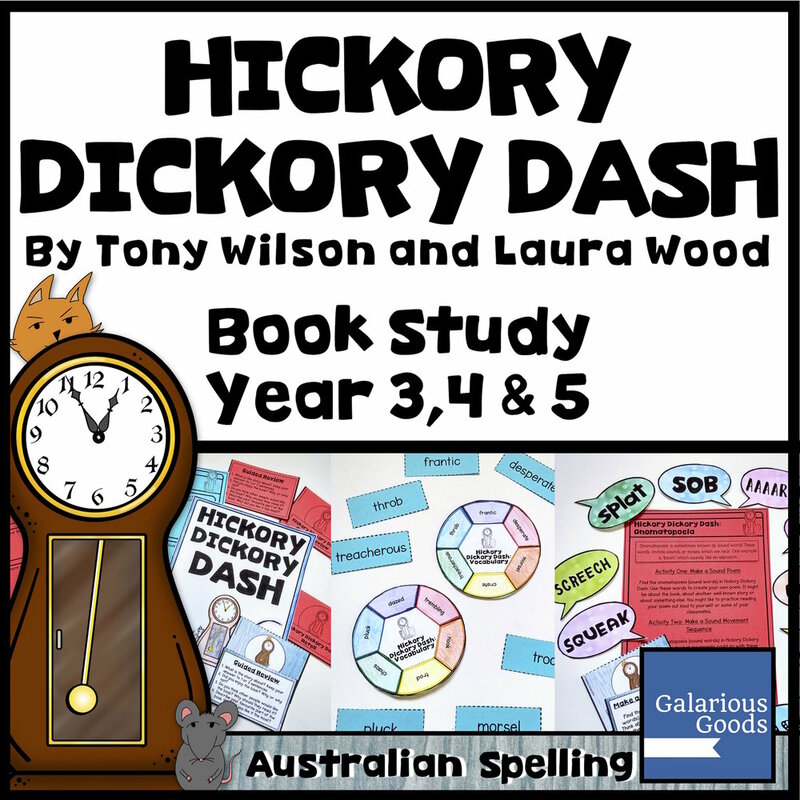 There are so many vocabulary activities you can do with this book - whether it’s exploring the different words or phrases around the word ‘pig’ or using vocabulary folding activities to record some of the great words you can find in the books. 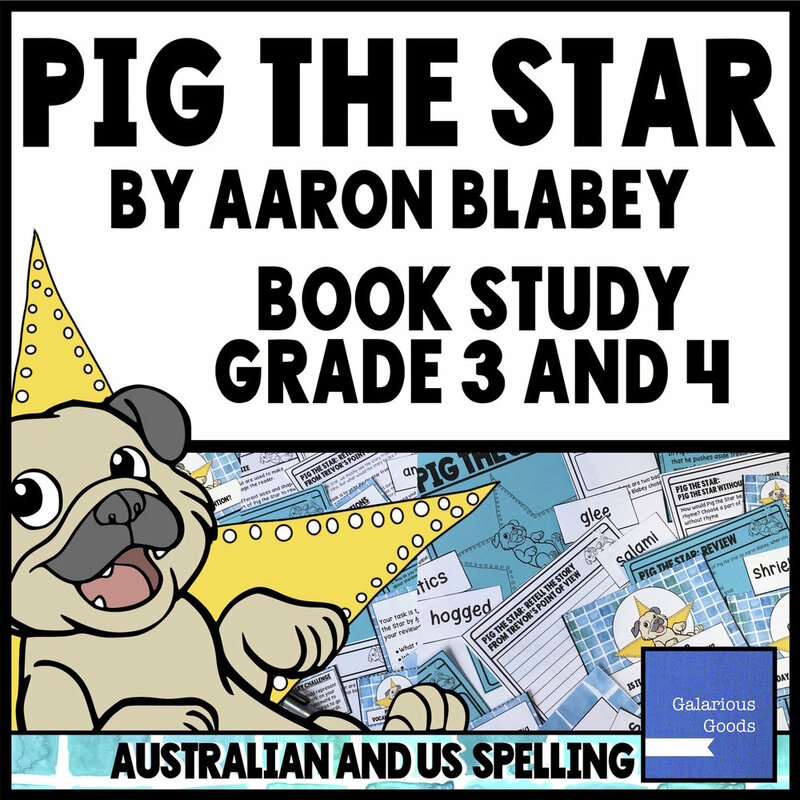 Students can create their own word walls of ‘Pig the Pug’ words and try to incorporate them in their own writing. When I had to come up with a Book Week costume on fairly short notice, we decided on Pig the Pug - with a crocheted hat doing the majority of the work. As my son walked out to the car to head to kindy, his friend from across the road yelled out ‘It’s Pig the Pug!’ - those eyes and ears immediately tell you who you’re dealing with! As well as Aaron Blabey’s iconic Pig and Trevor illustrations, the books are filled with little drawings which expand the story - and sometimes fill in the spaces between the words. My particular favourite is Pig the Star, where we see Pig and Trevor dressing up as a wide range of famous people. Students can explore how Aaron Blabey uses illustrations to tell the story - and how the story might change if there were no illustrations at all. They can also look at how they can tell their own stories - using just illustrations, or by combining illustration and words to create a complete tale. Aaron Blabey has so many wonderful books, and I have a hard time deciding on a favourite. But there is definitely a place for the naughty Pig the Pug in your classroom - and many different ways you can explore these stories with your students. 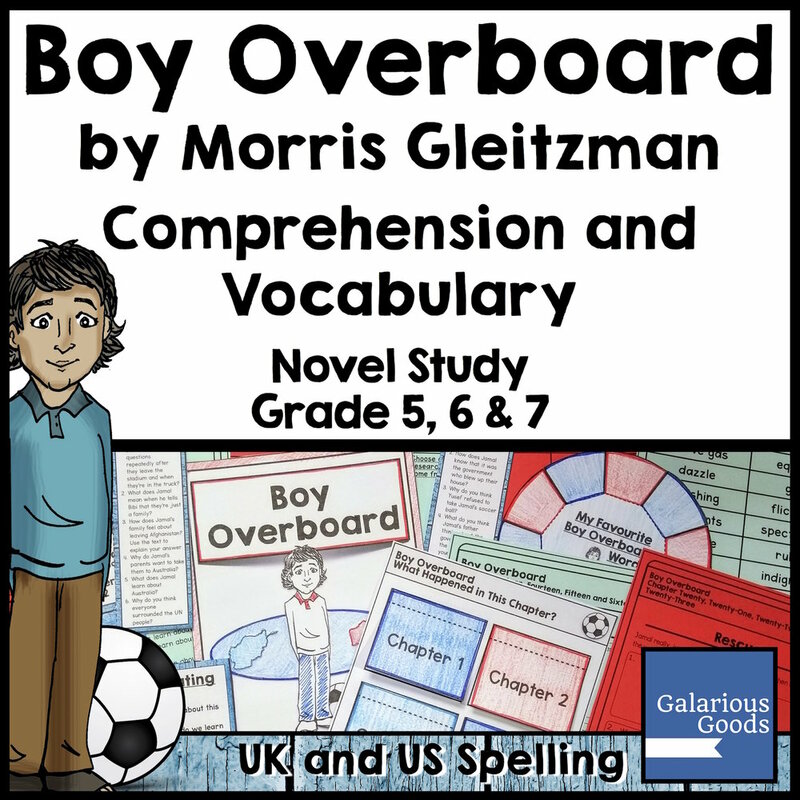 Boy Overboard by Morris Gleitzman is a great book to explore in your classroom. But what other books are connected to this important story? What books can you make available for your students to read? What books can you explore together? 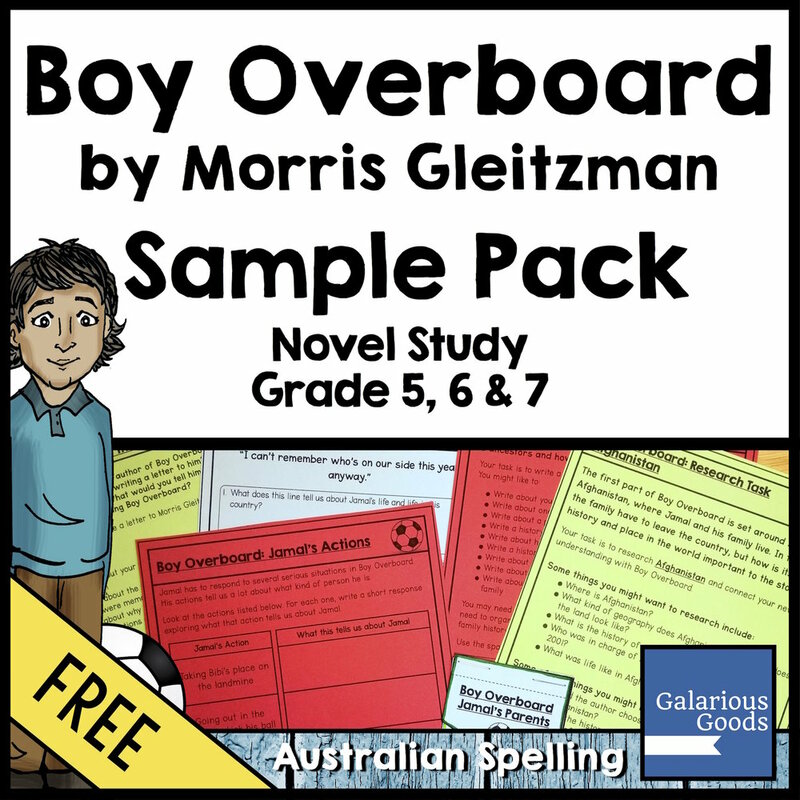 Today I’m proud to present 10 books related to Boy Overboard, perfect for the classroom. From picture book memoirs, to wordless books to well known novels, this is the list every teacher needs when they’re teaching Boy Overboard! Girl Underground is a must have for students who are reading Boy Overboard. The companion to Boy Overboard it follows the story of Bridget and Menzies who team up to help Jamal and Bibi who are now living in a refugee camp in the Australian desert. In the author notes for this book, Morris Gleitzman says he was struck by the range of responses from the public to those in need of help - like refugees. He sought to explore that in Girl Underground and it makes for a great discussion which you can explore with your class. It’s well worth making other Morris Gleitzman novels available for your students to read as well. He’s got a huge collection of novels covering a wide range of topics - there’s something for everyone! Mahtab’s Story by Libby Gleeson and Parvana by Deborah Ellis (published as The Breadwinner outside Australia) both look at the harsh life under the Taliban in Afghanistan - the same regime that Jamal and Bibi were living under at the beginning of Boy Overboard. Mahtab’s Story is also similar to Boy Overboard because it traces the difficult journey out of Afghanistan to Australia. We’re taken through the long - and sometimes tedious - journey Mahtab and her family take as they move from one place to another - sometimes in danger, sometimes just waiting for something to happen. The writing is beautiful and this would make for a great text if you are looking at description. Parvana is a little different because it focuses more on the life under the Taliban. Parvana is a young girl who is forced to pretend she is a girl when her father is taken away. Girls and women in Afghanistan aren’t allowed to be in public without a male family member, so Parvana’s disguise is an essential part of their survival as she starts working to support the family. Refugee by Alan Gratz reminds us that stories of refugees aren’t new and that they will probably continue into the future. By presenting three different stories from different time periods, students are invited to look at the similar and different aspects of people fleeing from dangerous situations and to look at where else in the world this might apply. The Arrival by Shaun Tan is a large, wordless book which follows the journey of a man fleeing danger and hoping to be reunited with his family and the kindness of the people he meets in the strange land. It connects with the journey made by Jamal and their family and the strange things Jamal comes across from one place to another. This is a stunning book, well worth taking an in-depth look at if you have the time. It can be accompanied with a wide range of texts and can definitely become the focus of an extended book study. Students can explore how illustrations can tell such vivid stories and where else they can find powerful illustrations, or they can explore other wordless books or graphic novels. Much of I’m Australian Too by Mem Fox focuses on different groups of people who live in Australia and how their families came here. However, at the end of the book we are introduced to a refugee in a camp, still waiting to come to Australia. This powerful end to the book, contrasted with all the other children leading fulfilling lives within Australia can raise a number of discussion points with students. They can compare this story with Jamal and Bibi’s story, reflect on why people leave one country for another and whether it reflects Australian history. 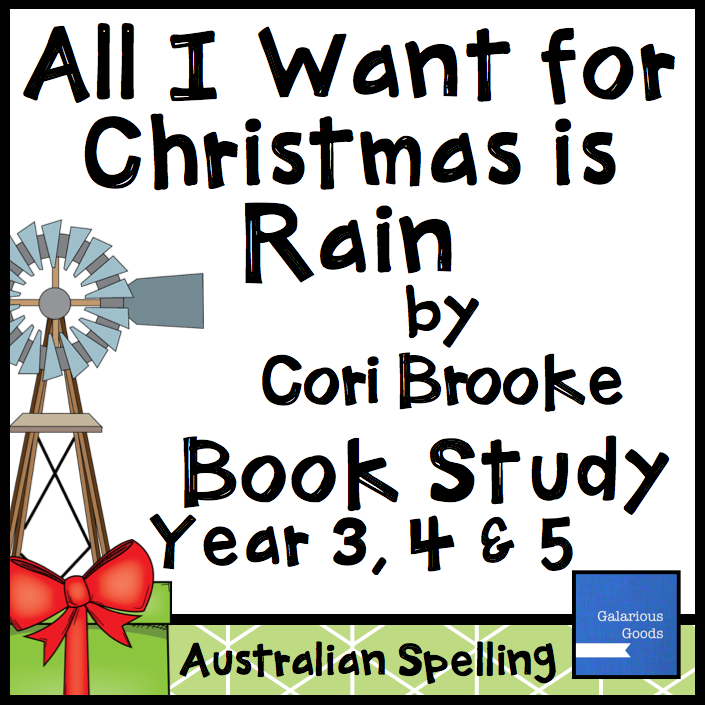 Find the I'm Australian Too Book Study for upper primary here. My Name is Not Refugee by Kate Milner is aimed at younger children, but is a beautifully written way to explain life as a refugee to people of all ages. Throughout the book, a range of questions are asked which put the reader into the shoes of refugees. Wisp by Zana Fraillon is more abstract than some of the other books, asking students to draw connections between the text, the illustrations and things which are happening around the world. This beautiful book draws the reader in as they go on journeys of memory and imagination with the characters. Students can use this book to explore the notion of hope and to compare it with the hopes Jamal and his family carried with them as they journeyed away from the danger in their homeland. They can explore different ways hopes can be written about and drawn and how we may hope for a better future for everyone. Room on Our Rock by Kate and Jol Temple is an incredibly clever picture book which shares two messages depending on whether you read it from back to front or front to back. This reflects Morris Gleitzman’s statement about the range of opinions which exist when it comes to refugees and other people who need help. This would be a great book to look at in terms of structure. 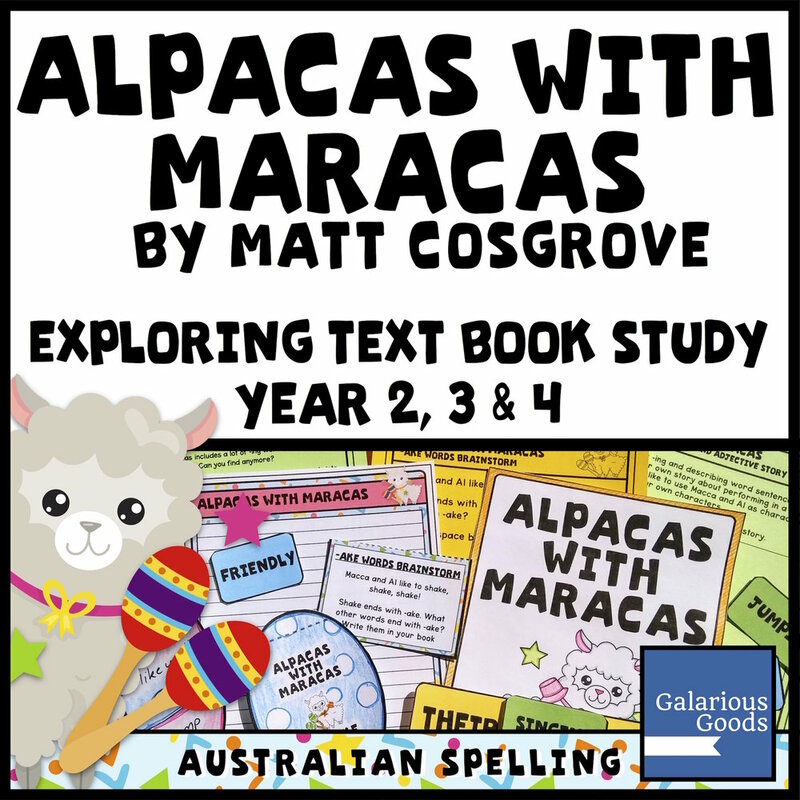 Students can attempt to write their own forwards or backwards stories with different messages and examine how the authors have successfully managed it. The Little Refugee by Ahn Do and Suzanne Do shares another story of a boat trip to Australia, but this time as a result of a different conflict - the Vietnam War. Students may be surprised to see that this is the picture book memoir of a popular children’s author, well known for the Weir Do and Hot Dog books, allowing them to see what life may look like for refugees as they grow from children to adults. There are many parallels with Boy Overboard in Ahn Do’s story, which students can explore and list. They might also explore what Jamal and Bibi’s story might look like if it was turned into a picture book and how it might be illustrated. Whether you are able to add one or all of these books into your classroom, you will find that there are plenty of strong, thoughtful books to supplement the stories and messages of Boy Overboard in your classroom. 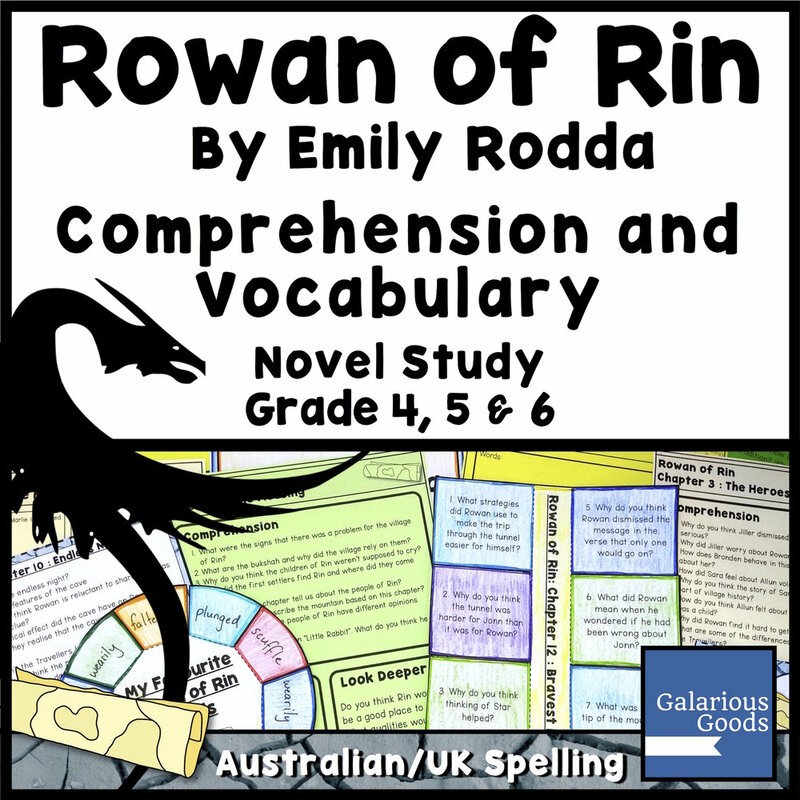 When you explore a book like Rowan of Rin in the classroom, it can be a little overwhelming knowing where to start. It’s an entirely new world - similar, but different to our own. There’s adventure and fantasy and relationships. And how can we make connections between all of that and the world that our students live in? Finding real world connections and real world topics to explore can help our students gain a deeper understanding of both Rowan of Rin and how we can use books as a launching pad to gain a deeper understanding of the world around us. Here’s 5 topics you can explore with your class to get you started! Rowan of Rin is a quest story which sees Rowan and several other villagers following a map to the top of the mountain to uncover a secret. Working with maps of different kinds is a great way to get students learning outside. Students can create playground maps or use maps of their school to ‘explore’, or you may extend your learning to an excursion to a local park or forest area where you can continue to expand map using and map making skills. One way to explore maps is to get students involved in orienteering activities. In orienteering activities, students use maps and compasses to reach checkpoints and race towards the end. While you may not have time to complete a full orienteering course, orienteering organisations around the world have put together some great teaching activities like this and this to give your students a taste of orienteering. Students can also create their own treasure hunt for others to follow. They can begin with an existing map of the school or create their own from scratch. They can use trundle wheels to measure distance and include distances in their maps as well as written clues to guide the seeker to the next position. As students are creating their maps, they can learn more about mapping symbols, features and keys and apply this to their own maps. And - of course - when they are finished creating their maps, they can give them to their classmates to test them out. Throughout Rowan of Rin, the villagers and Rowan run into a number of obstacles on their trip up the mountain. This makes the perfect inspiration for your own obstacle course at school. Students can look through the novel to find 5-6 inspirations for their obstacle course, then brainstorm different ways they could create the obstacles. You may like to offer them a range of equipment they could use for their obstacle course, or ask them to be creative with sports and playground equipment and things like tape, string or elastic! Students also need to consider things like safety, how long it would take students to complete the course and whether they should offer different difficulty levels. Once students have planned their course, they can set it up and test it with their classmates. 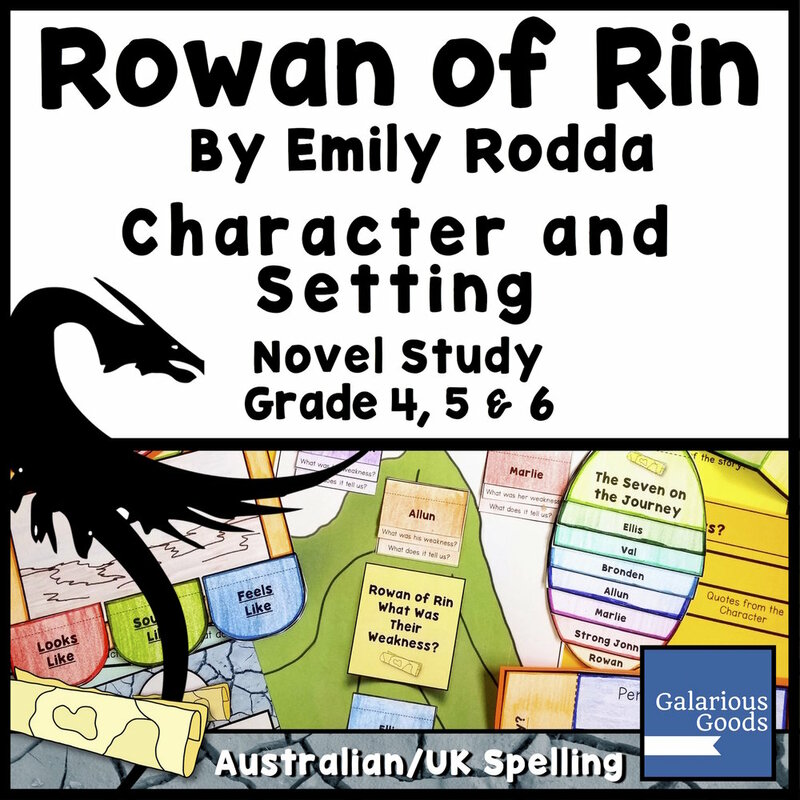 They may like to introduce it to other students in the school as well, combining it with some retelling of Rowan of Rin so students who haven’t read the book can understand the context of the obstacles. Students can also create maps, diagrams and posters of their obstacle course or take photos or video of students completing the course which they can share or present for others to enjoy. Rowan finds that he has to work with the others a number of times to get through the obstacles to the top of the mountain. 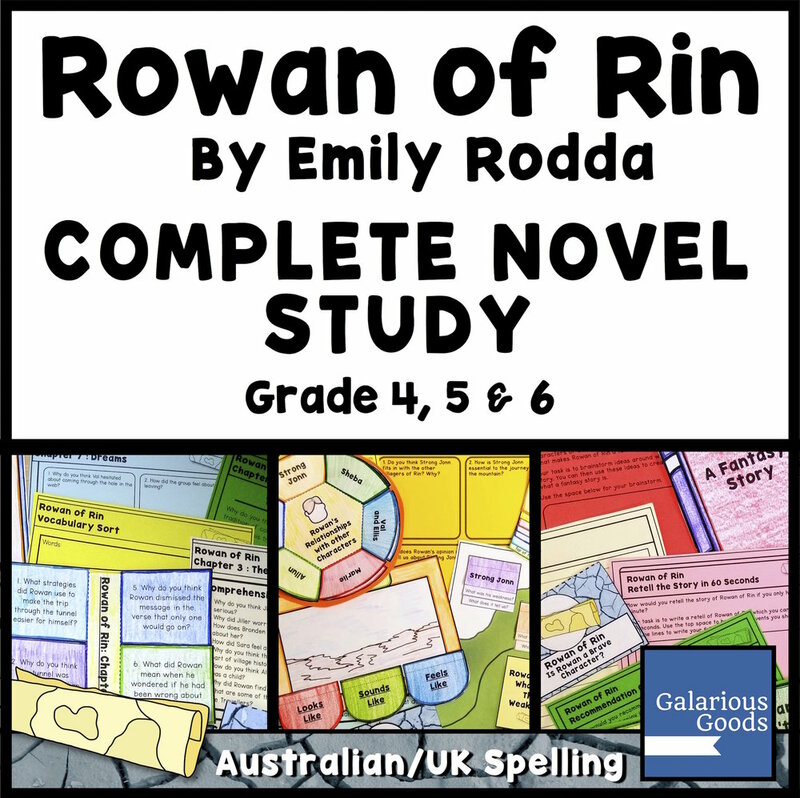 Learning to work together is a great activity for school students and can allow them to reflect on the difficulties that Rowan and the others may have experienced as they worked together. Rowan and the others have to work together in the swamp to stop each other from being drawn into the mud. They end up working together to pull each other out. Students can work together in teams to ‘pull each other from the swamp’ through playing tug of war. To extend the challenge, students can be broken into four teams with 2 ropes intertwined to make a cross. Rowan misunderstands Strong Jonn’s feelings about him - a misunderstanding mostly caused by a lack of communication. Students can explore the importance of good communication through playing See What I Mean. One person draws a picture using simple shapes. Another person describes the picture to the other students in the group or class who try to replicate the picture. The better the description, the better the drawings. Another way to explore communication is through creating a simple obstacle course, and having students assist a blindfolded student through the obstacle course. The course can be slightly changed between students to keep the difficulty up. As well as exploring communication, this activity also connects to the way Rowan and the others move through the cave and the tunnel on the way up the mountain. This is a really easy game with a direct link to the dragon in Rowan of Rin. In the original version, students work to line up from shortest to tallest - without making a sound and ‘waking’ the dragon. When they are all lined up, they simultaneously call out ‘boo!’ to wake the dragon. To extend this idea, students can line up from oldest to youngest or in alphabetical order by their names. During Rowan of Rin, the villagers come across a forest filled with spiders and are required to move through spider webs to keep moving forward. Spiderweb is another team building game, but this one relates even closer to the book. Students can work together to make a spider web by weaving string between two fixed places (the string can be held to the poles or trees or walls with tape). Holes should be made which are big enough to pass students through, and if you are going with the more difficult version of the game - there should be enough holes for every student in the team, plus a few more. Students then need to work together to get through the ‘web’ without touching the web in any way. For the harder version, each ‘hole’ in the web is closed once a student is through it. Students ‘win’ the challenge when everyone is through the web. This is a really easy way to get students and Rowan of Rin outside. Students bring their books with them and take a walk to another place in the school. When they arrive, a student may read a pre-prepared section of their book, or the teacher can read a part of the book, or a few students can act out a part of the book. 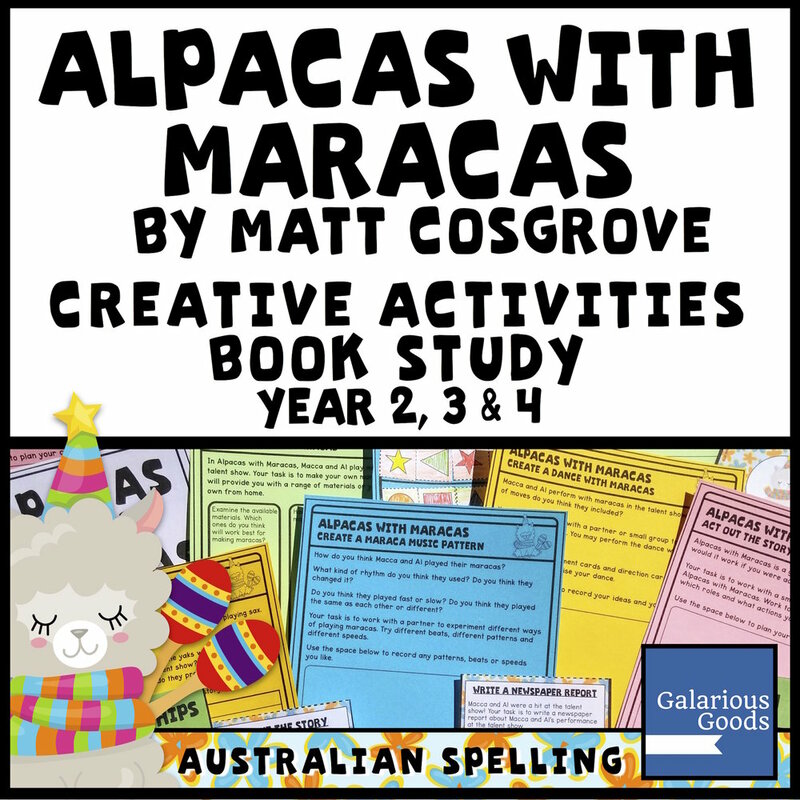 You may even organise to visit other classrooms to share a little bit of your book. By taking students on a book walk, you can show them that reading is a wonderfully portable activity, and source a few new places in the school for reading to happen. And students can see that learning is never restricted to the classroom. 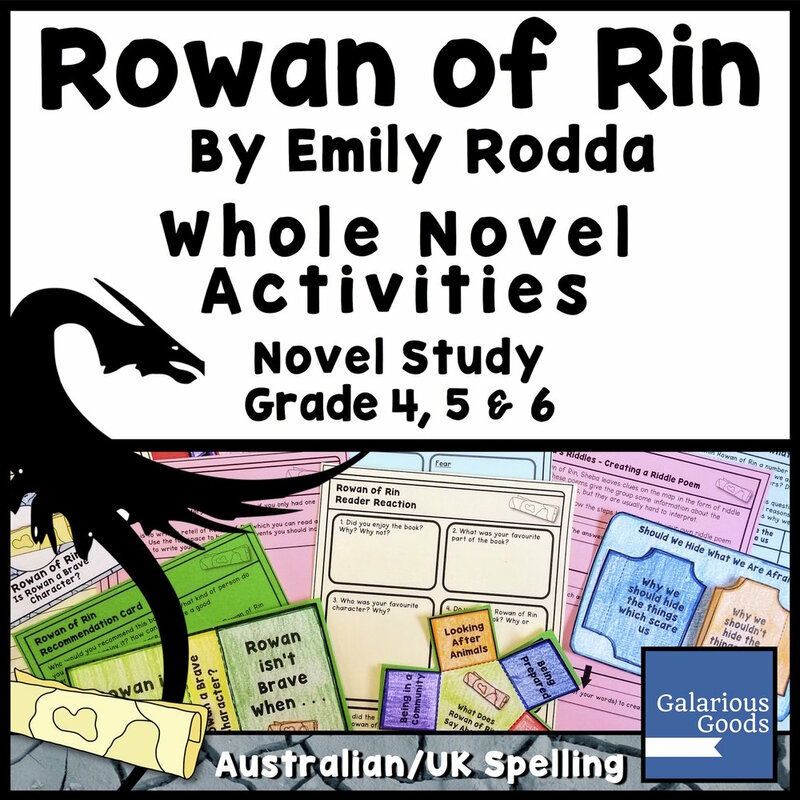 Have you participated in a Rowan of Rin activity outside the classroom? Share your experiences in the comments. In Rowan of Rin, a map is the central tool to help Rowan and his fellow villagers in their quest to get to the top of the mountain. But while we don’t usually have magic maps in our world, mapping is a great topic to explore with students. Students can look at a range of maps, from maps made by early explorers, maps created to help students understand historical events or places, maps used to show weather or maps available on our phones and computers. They can identify similarities and differences between those maps and begin to create a list of features which maps have. Students can look at maps of their local area and beyond, examining what features they know and how they connect with roads and paths. They can also create their own maps of familiar places - like school, bedrooms, streets, places in their community - or unfamiliar places - like places in books they have read or places which come from their own imagination. Rowan is the bukshah keeper in Rowan of Rin, a role he was supposed to have grown out of, but a role which made him invaluable throughout the journey to the top of the mountain. Students can look at what qualities are required to be good at caring for animals, whether the animals in question are their own pets, animals in a farm or large animals in different situations. They may like to research people who are famous for working with animals like Steve Irwin or Jane Goodall and explore what qualities made them suited for working with animals. Students can also explore the different jobs which exist for people who want to work with animals. They can sort and organise the jobs and match them with the qualities required to be good at them. Rowan is one of a group of people who set off on a quest up the mountain to solve the mystery of the stream drying up in Rowan of Rin. Quests are a common part of fantasy books, including well known books like The Hobbit. But what quests can students explore in real life? Across history, explorers have set out to find new places - often for reasons to do with money or power. Sometimes the explorers have been solving problems, looking for new trade routes or easier ways to get from one place to another. Sometimes they’ve been searching for something big - a southern land or an inland river. And sometimes they want to be the first to go somewhere - like the quest to be the first people to stand on the moon. Students can choose an exploration to look at, discovering who was involved in the exploration, what they did to prepare for that exploration and what happened during it. They can look at difficulties faced during the explorations and how they dealt with them. They can also look at the impact of the exploration on people and environments which were already there. At one point during their quest up the mountain, Rowan finds himself in a cave. Caves are fascinating places to learn about, and students can gain a better understanding of Rowan of Rin by exploring real life caves. Students can look at what defines a cave, what features they have and how people have found them over the years. They can create representations of cave features, including stalagmites and stalactites and how they are created. If you have space in your classroom, they can even turn a section into a cave! Students can explore some of the famous and spectacular caves around the world - from ice caves, to caves filled with crystals to caves filled with glow worms. They can create posters or displays of these caves (matching them to world maps to bring two topics together!) write about the features or create material encouraging tourists to come and visit the caves. 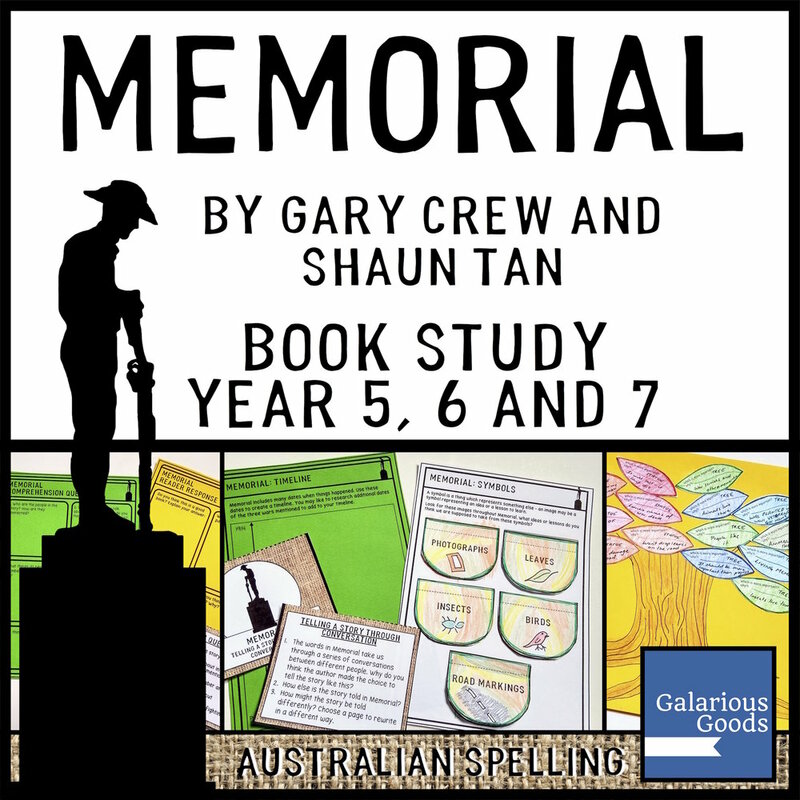 Students can also explore how people have used caves over history, including using caves as shelter, as a source of minerals, as burial sites or as religious places. Many of the people of Rin are convinced that there is a dragon at the top of the mountain. While dragons are (probably!) fictional, representations of dragons have been common around the world throughout history. Dragons appear in stories from as early as the Ancient Sumerians and Egyptians. Early on, they were seen as sometimes protective and sometimes dangerous creatures, but later on European tradition turned dragons into the fire breathing monsters to be slayed which we see so commonly in western myths and modern stories. Students can explore the different dragons who appear in modern stories, from the treasure hoarding Smaug to the cute, but potentially dangerous Norbert the Norwegian Ridgeback. They can then compare these dragons back to the stories which surround the village of Rin. They can also look at the role of dragons in Chinese stories and beliefs, where dragons are the top of the animal hierarchy. They can explore some of the stories about dragons and how people include dragons in their celebrations today.